Home / News / Festival / 2018 / MOVIES IN SPACE!!! UK: London, 13th July 2018 – Today the SCI-FI-LONDON FILM FESTIVAL is pleased to announce that it will be providing a selection of films for the crew of the simulated Lunar habitat, LunAres, based in Pila, Poland. As part of the MoonMars Spectra mission launching July 2018, the crew will receive a payload of specially curated 2 x 90min Short-film sessions; which will be personally introduced by Louis Savy, the festival’s founder and director. In addition to the short film programmes, the festival will provide the pre-launch movie, a tradition that all crews take part in. Since 1969, those who have flown from Baikonur have watched the Russian cult classic THE WHITE SUN OF THE DESERT (1969, Vladimir Motyl), this crew-only activity supports both psychological and crew-cohesion needs and has become a ritual, accompanied by a Russian Vodka salute for the purposes of eliminating any residual pallet bacteria, or so we are told! The festival will select a cinematic work that will become an Analogue Mission Tradition viewed by crews from the quarantine hotel on the night before they launch from Earth. The film chosen for the Spectra mission is the comedy sci-fi, GALAXY QUEST (1999, Dean Parisot) – a perfect mix of comedy, hard sci-fi and great action. The film stars Tim Allen, Sigourney Weaver and Alan Rickman. The crew will record their opinions on the curated experience and offer feedback to help suggestions for future crews. Mission commander Dr Sarah Jane Pell said “Having a Guest Curator to select a unique pre-flight movie for a Lunar Analogue Mission is a big deal for our Crew. In an international, interdisciplinary crew, there are so many mission-relevant cultural differences and personal characteristics from emotional expressivity to personal space norms, that will be shared on the night before launch in the simple act of watching a film together. Film offers a release when anticipation about the mission, the crew, and individual will be at the highest. It's also a chance to laugh and bond. For us: a crew of six Analogue Astronauts, the anticipation of an Earth-based simulation is challenging enough. We literally enter a new mindset, and experience many of the environmental and operational conditions for a mission such as isolation and confinement. Can you imagine truly departing for a new world? Many do. Migrants, refugees and explorers of all kinds, take care to attend to the symbolic gestures that remind them of their identity or purpose, and help them to adjust to the enormous challenge or quest ahead. The symbol is something tangible in the real world that helps to communicate the intangible idea, value or feeling. It also anchors us in a reality that we can manage. Like athletes, dancers, explorers and musicians before long or dangerous journeys or important performances, Astronauts engage in ritual and superstition to centre themselves before launch. "The week before Yuri Gagarin became the first man to orbit the earth, he planted a tree. The night before his launch, Gagarin watched a movie..."
https://www.smithsonianmag.com/smart-news/astronauts-pre-launch-traditions-180956151/#tYv1z7hJP6ZsIhQ7.99 For more space traditions! For me, Astronauts are the message in a bottle. They are the symbols of the collective vision of the past, and the strategic investment in the future. We honour them but continuing their traditions and superstitions, and design a new take on the ritual of watching a SCI-FI film together on the night before flight. The Lunares III Crew are proud to partner with SCI-FI-LONDON for the SPECTRA Mission!! 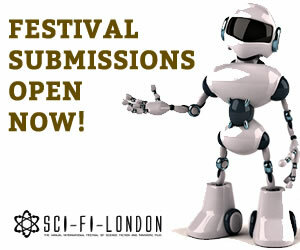 "Louis Savy, SCI-FI-LONDON festival director said “Sci-fi becoming sci-fact? We hope so! I am excited about our role in this analogue Moon mission – whilst it may seem trivial to select some films for the crew, we found it very challenging to curate a selection of films that would both stimulate and entertain a crew who are isolated from the rest of us on Earth! We wish them luck and can’t wait for their feedback." LUNARES is an isolated independent habitat and operational system with Mission Control Support in Poland. International Analogue Astronaut Crews design future-focused creative research experiments, physical, psychological and engineering challenges, habitability, art, science, education and outreach activities in a confined MoonMars simulation. The LUNARES III Crew focuses on testing integration of technical and biological systems, interdisciplinary cooperation and resourcefulness for future lunar settlement. It will be crewed from July 14 to July 29, 2018. We're 18, join the monster party!